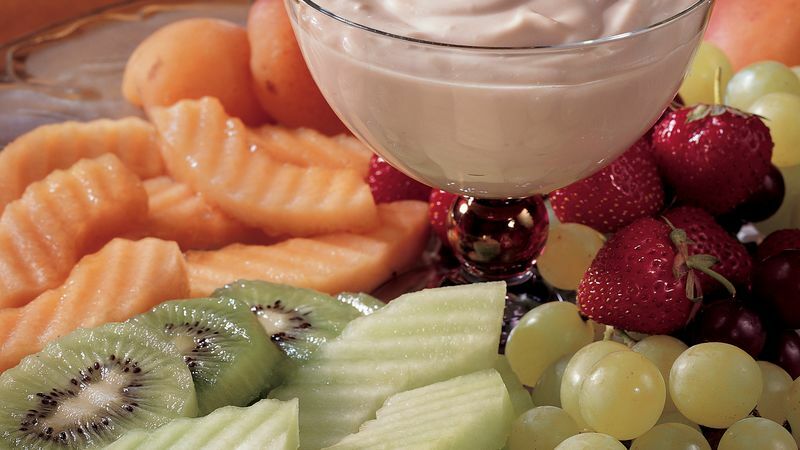 Arrange fruits on large platter. Mix sour cream and brown sugar. Garnish dip with currants. Serve with fruit. Wash and slice the fruit up to 2 days ahead of time, then cover and refrigerate until serving. You can also make the sour cream and brown sugar dip up to 2 days ahead of time and refrigerate. The sour cream-brown sugar dip will keep for about a week when refrigerated. Go with the seasons! Vary the fruit you use depending on what looks good in the grocery store or at the farmers’ market.